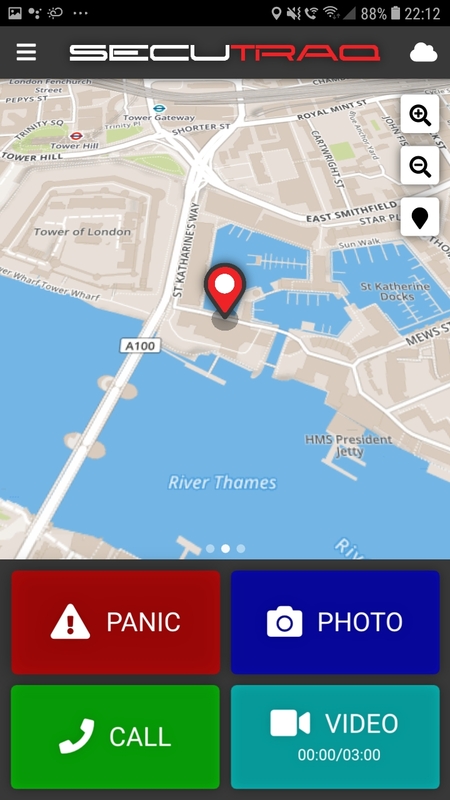 From a single screen the user can instantly see his/her location on a map. 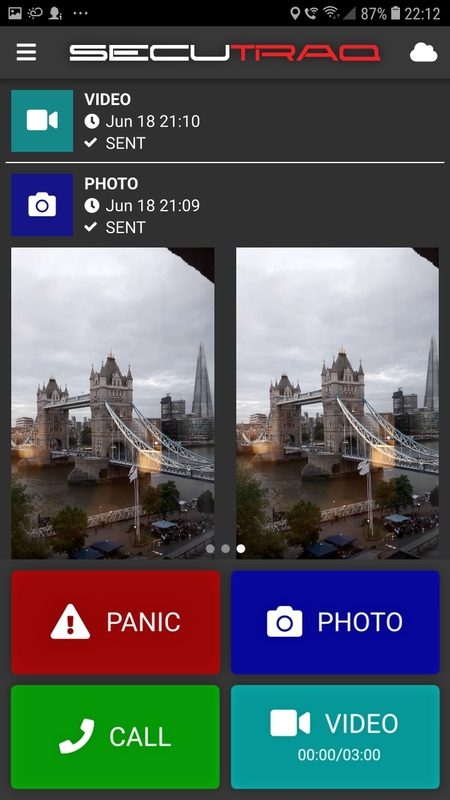 The four “single touch” buttons for “Video, Photo, Call Me and Panic” can easily be accessed. 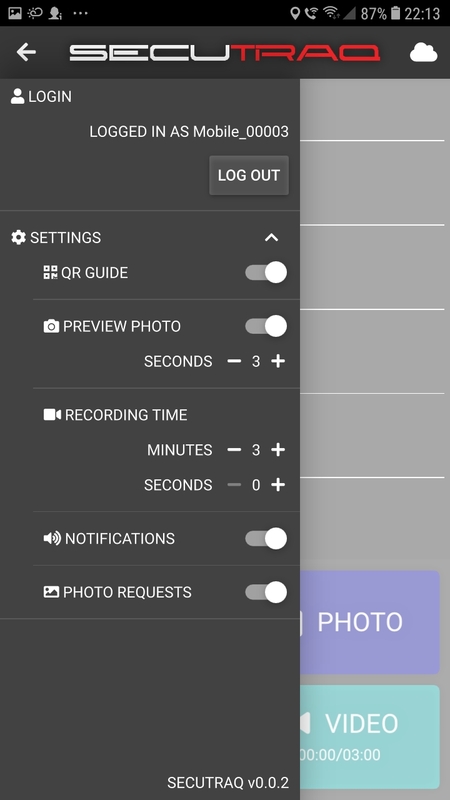 With a single touch on the relevant button, the App will activate the camera on the phone and either take a photo or video. The photo or video is sent to the Secutraq Cloud Platform immediately. 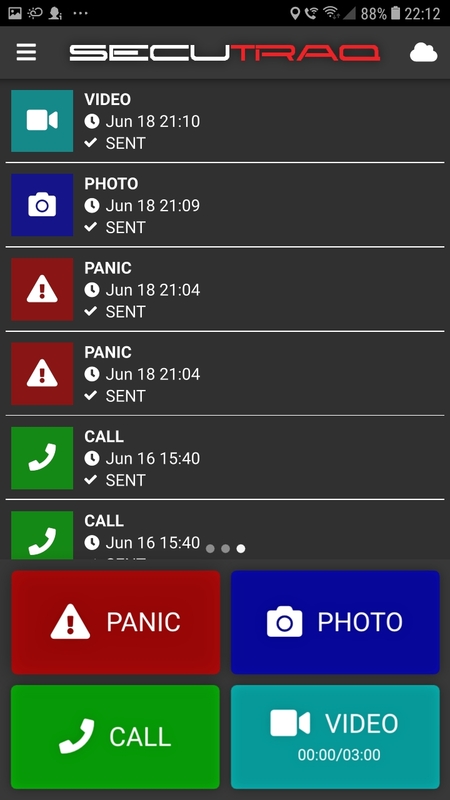 The user can view the history of all events on the phone and with a single touch, can view the detailed information related to a specific event. After signing up for the service and downloading the App, the user can change the default settings on the phone. The parameters are self explanatory and easy to follow. 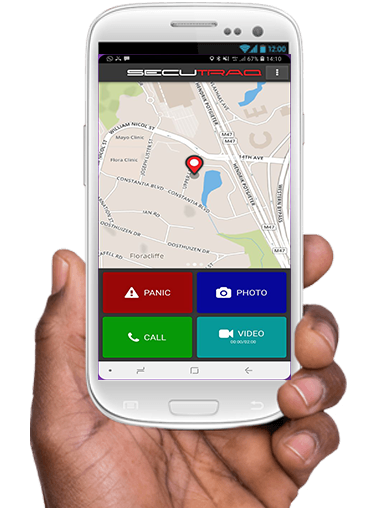 For security reasons, each phone must be defined and be set up on the Secutraq Cloud Platform before the phone can communicate with the system. The user can log in to the App using a user name and password, via a QR Code or RFID card.